Fenerbahce Beko Istanbul reached an agreement with playmaker Ali Muhammed to remain together for two more seasons, the club announced Monday. Muhammed (1.78 meters, 35 years old) joined Fenerbahce in 2015 and has helped the team reach three consecutive Turkish Airlines EuroLeague Championship Games and the win the trophy in 2017. He is third in the league in three-point accuracy this season at 49.6% shooting (56-of-113) while averaging 9.3 points and 2.3 assists in 29 EuroLeague games. Muhammed has amassed 1,220 points and 329 assists in 122 EuroLeague career games. He is ranked 26th in competition history with 249 three-pointers made. Muhammed started his career with St. Etienne in the French second division. 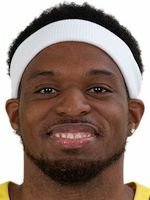 He has also played for BCM Gravelines, Le Mans, JDA Dijon and ASVEL Villeurbanne in France; Polpak Swiecie in Poland; Cherkassy Monkeys in Ukraine; Benetton Treviso and Enel Brindisi in Italy; and Pinar Karsiyaka in Turkey. Muhammed has captured the Turkish League title in each of the last four seasons – first with Karsiyaka in 2015 and three with Fenerbahce in 2016, 2017 and 2018. He also won the French Cup and the Semaine des As with Le Mans in 2009 and three Turkish Cups: one with Karsiyaka, two with Fenerbahce. Muhammed has received Turkish citizenship and played for the Turkish national team, too. He was named to the 2014-15 All-EuroCup Second Team with Karsiyaka.